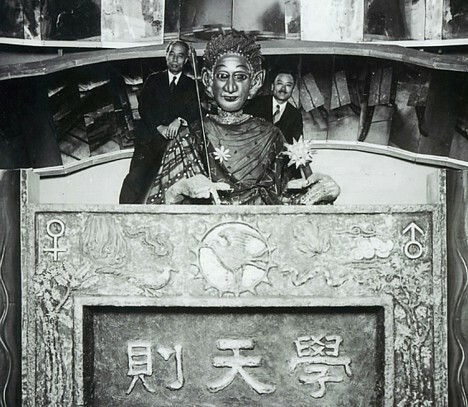 Built in 1928 by biologist Makoto Nishimura, Gakutensoku was first exhibited in Kyoto as part of the formal celebration of the Showa Emperor's ascension to the throne. The robot traveled to a number of expos and wowed onlookers with its mad calligraphy skills before going missing in Germany. Now, decades later, Gakutensoku (or at least a modern version of it) is finally coming home to Osaka. The reanimated Gakutensoku will star as the main attraction at the newly renovated Osaka Science Museum beginning July 18. Gakutensoku?? ?, robot octogenario « Vida en Marte ????? ?